FroBunni: I'm Back! And I brought Natural Hair How-Tos with Me! I'm Back! And I brought Natural Hair How-Tos with Me! Hello!!! It's been awhile, but I have come back. Work has been quite overwhelming lately, but I was determined to get back to my beloved FroBunni. In an effort to have a ton of posts when I returned, I have been taking pictures and making collages of my natural hair regimen and hairstyles (among other things, more posts to come later ^_^). My favorite style is the foam roller set (also known as a sponge roller). 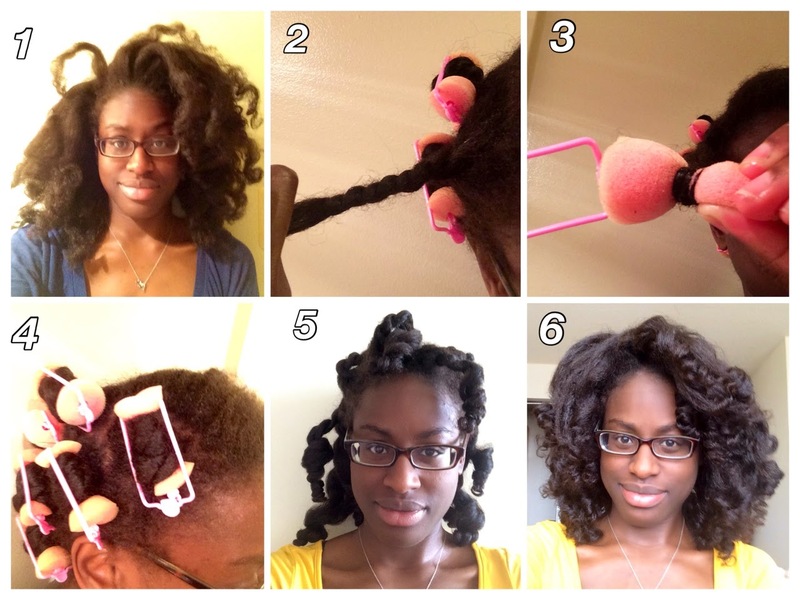 I am obsessed with foam rollers; they're easy to use and get my hair straight without heat. I have different types of roller sets that have different benefits. But below are two of my most common. 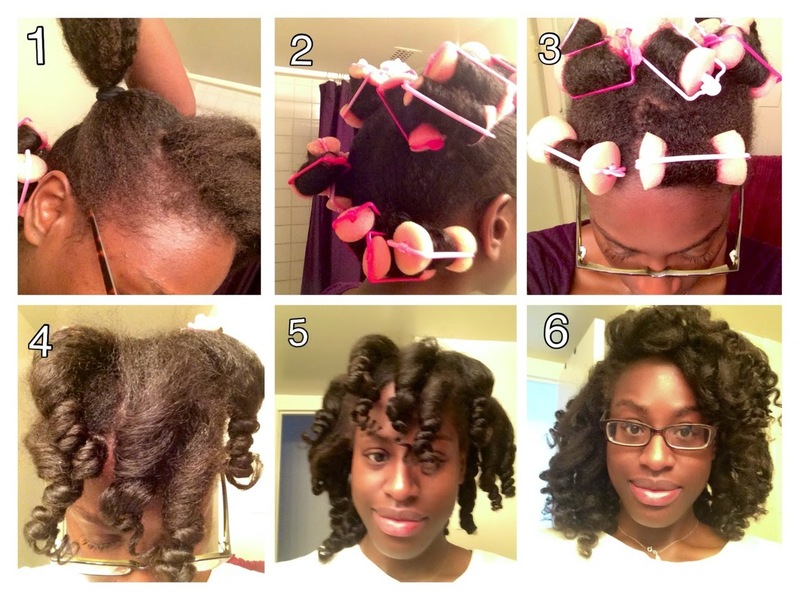 For each roller set, start on damp (can be washed but not soaking wet) or stretched hair. 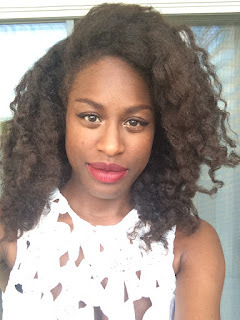 I moisturize my hair with Giovanni Direct Leave-In and then seal with a mix of coconut and olive oil. 6. Separate each section and voilà!